The first week of the Clarion Write-A-Thon is in the books! I’ve written 3,643 words so far, raised $145 in donations, and finished a grand total of 0 short stories! My word count is a pretty far cry from where I had hoped to be by now; I started off strong, but a series of social engagements and general exhaustion from work really slowed me down. I’m hoping to get my mojo back by knuckling down and making time to write in the mornings before work and during my lunch break. Donations-wise, I’m sure there’s a way to drum up more support — I’ll be personally asking a few folks if they can kick in a little. But thanks SO much to everyone who’s donated so far. It really means a lot to me that you’re willing to help! Last week, I worked on a couple of blog entries and “Feedback Loop,” my story for Defying Apocalypse. “Feedback Loop” focuses on an inner-city college student as he tries to deal with the news that a runaway greenhouse effect will steadily turn the planet into a Venusian hell-scape. He must manage to deal with the crumbling world around him, his family’s issues and his own depression to find some way to survive the coming ordeal. I’m really excited to write this story because it draws so much on my own experience and understanding of depression, and the scenario I’ve chosen is frighteningly close to reality. The story is flowing out of me when I have the time to write it, and it’s been a really long time since that’s happened. I don’t know if it will be good enough to actually be accepted, but if not I’ll at least have finished something. I can polish it and submit it elsewhere, at any rate. This week, I’m committing to three blog entries this week — this one, a couple of thoughts about my Buddhist practice on Wednesday, and a small short story about a character I’ll be playing in a Star Wars campaign a friend’ll be starting up this summer. “Feedback Loop” will be finished, and I’ll head immediately into a short story for MegaMorphics. It doesn’t have a title yet, but it’ll follow the victim of a bio-terror attack and the rather unique difficulties he faces in recovery. That particular story won’t be available immediately, but I hope to have it floating around online by fall. My word count goal for this week is 14,000 words. Fundraising goal for this week: $250. If you have a few dollars you can spare for a worthy cause, I would certainly appreciate it! 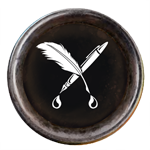 Just go to my writer’s profile here: http://www.clarionwriteathon.com/members/profile.php?writerid=599479. You can either make a straight-up dollar donation, or you can pledge a certain amount tied to my word-count. If going for the latter, one-tenth of a cent per word (or $.001) will work out to $50 if I hit my goal. $.0005 will work out to $25, and $.0002 will work out to $10. Every little bit helps, and I’m happy to accept anything you’re willing to give! Now, on to making sure that goal is fulfilled. How about you fine folk? What will you be working on this week?